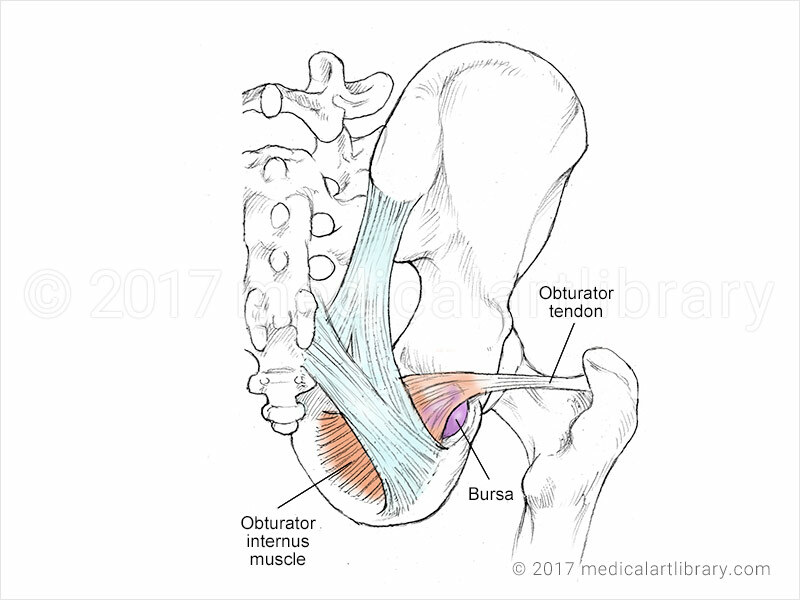 The obturator internus arises from the inner surface of the pelvis where it partially covers the obturator foramen. 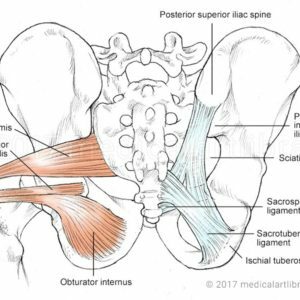 The muscle fibers converge into a tendinous band which lies between the ischial spine and ischial tuberosity, and makes a sharp turn around the ischial bone as it heads towards it’s insertion on the greater trochanter of the femur. 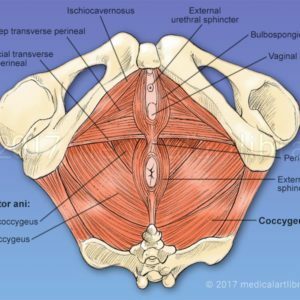 Located at this high friction point, in between the muscle and bone is a bursa. This flattened sac like structure is lined by synovial membrane, like the inside of a joint, and contains a thin film of synovial fluid. The synovial fluid lubricates the opposing membranous surfaces and allows them to glide over each other. This bursa helps to alleviate friction between the muscle, tendon and bone and allows more freedom of movement for muscle, tendon (or skin) in a tight area. 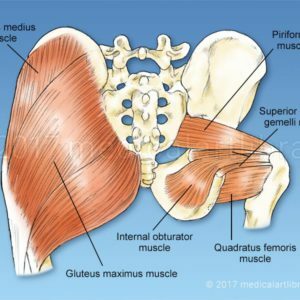 The obturator tendon inserts on the greater trochanter of the femur.